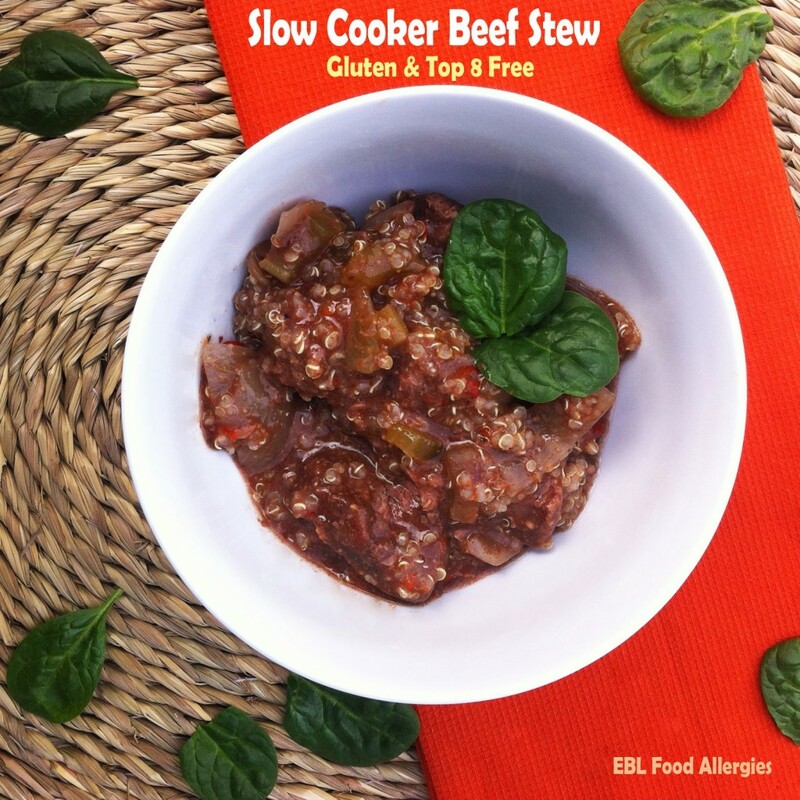 Are you looking for a delicious allergy free (gluten, corn, and top 8 free) slow cooker recipe? Why don’t you try this easy Beef Stew recipe that can cook in your slow cooker while you’re away from home? There’s nothing better than coming home to dinner already made and a house that smells like you’ve been slaving away for hours cooking a home-cooked meal. Line your slow cooker with a liner. I use one every time for easy clean-up and because I twist it closed to seal in all of the moisture while cooking for long periods of time. Add beef to slow cooker. In a small sealable jar add tapioca starch and some beef broth, seal and shake until the mixture is completely mixed with no lumps remaining. Add to slow cooker. Add all of the remaining ingredients to the slow cooker, twist the liner closed, and cover with lid. Cook on low 8-10 hours, or high 4-6 hours. Serve with pasta, rice, or quinoa. This meal is perfect to pack into an insulated food container for your kid’s lunch! It’ll stay warm for hours! It is dairy free, soy free, egg free, nut free, wheat free, gluten free, corn free, fish free, and shellfish free. Enjoy! 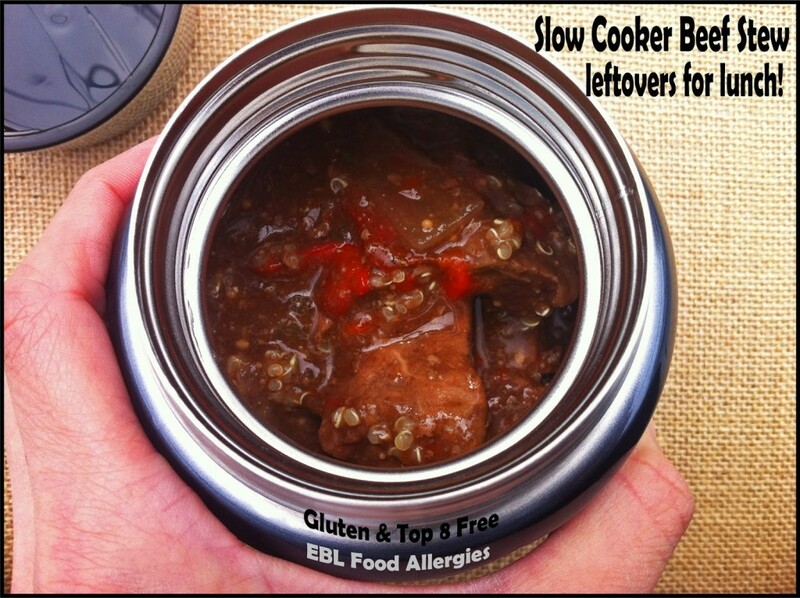 Interested in more allergy free slow cooker recipes? Try one of these. I like the dishes which are cook slowly and especially the meat recipes because there is much difference in the taste when the meat is cook on high flame and the meat which is cook slowly. I had never tried beef before but this recipe looks interesting and would love tasting it.